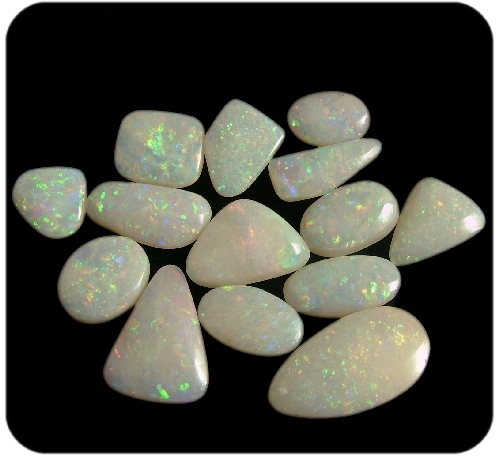 ‘White Opal’ as the term suggests is pale in color and is opaque not translucent. 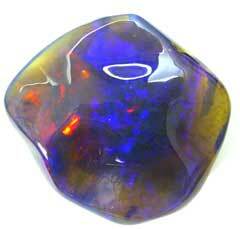 In other words the color is on the surface of the stone. 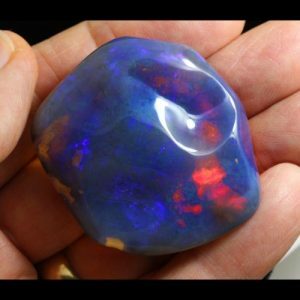 You can’t look deep into the stone and see the color, whereas ‘crystal opal’ which is of the same family as white opal is translucent, meaning that you can look deep into the stone, sometimes right through it, depending on the amount of color. 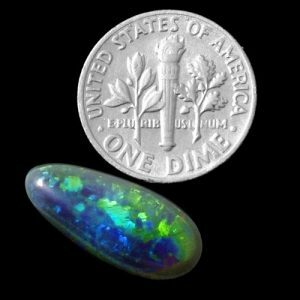 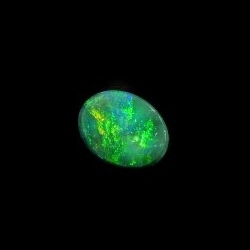 White opal or pale opal is the less expensive type of opal. 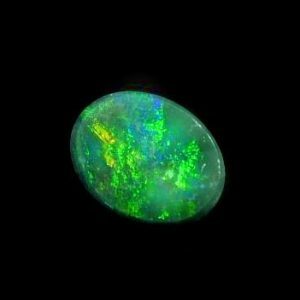 The price of this material can start from around $5 per carat and can reach around $20 per carat, depending on the brilliance of the color. 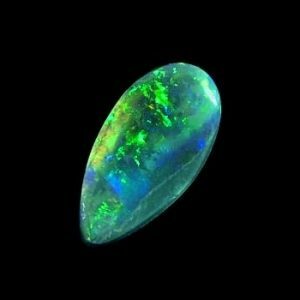 Crystal opal starts at around $15 per carat and can range up to $200 per carat, again, depending on the brilliance of the opal. 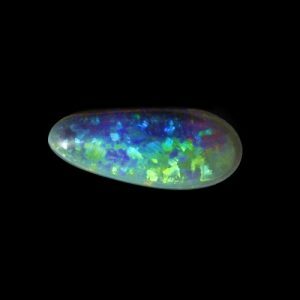 White and crystal opal are often calibrated to specific sizes such as 5mm and 6mm round, 5×3,6×4,7×5,8×6,9×7,10×8, 14×10, so that the stones can be fitted into standard cast settings. 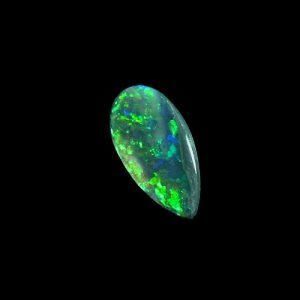 Coober Pedy is the international capital for crystal opal or white opal in the world. 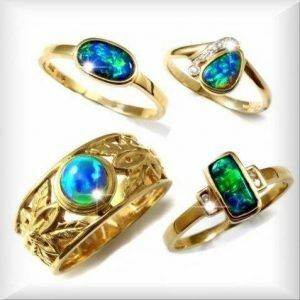 Most Australian white opal comes from this location but small amounts of it are found in all the other fields including Mintabie, Lambina, White Cliffs, Lightning Ridge and the Queensland fields.